Badge of a member of the Choir, elites of the Healing Church. The eye signifies the very cosmos. The Choir stumbled upon an epiphany, very suddenly and quite by accident. Here we stand, feet planted in the earth, but might the cosmos be very near us, only just above our heads?" Cosmic Eye Watcher Badge is a Key Item in Bloodborne. Upper Cathedral Ward - Enter the building through the big gate (shortcut), hold to the left and you will find the item on a corpse in the narrow corridor patrolled by a Brainsucker. Alternatively if you haven't unlocked the shortcut, Enter the building, go down the big stairs and hold right instead. Watch out for wolves! It is also possible to unlock Twin Bloodstone Shards in the Insight Shop by killing Rom, the Vacuous Spider, whether or not the player has obtained the Cosmic Eye Watcher Badge. The Twin Bloodstone Shards will be unlocked in the Insight Messenger Shop after killing Rom. 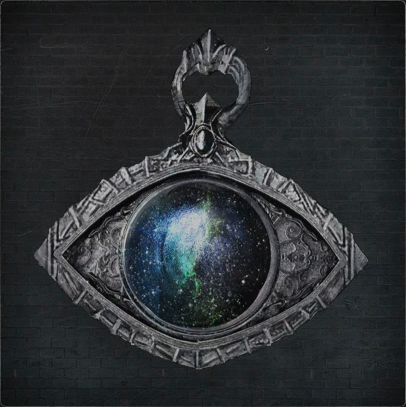 You will need the Cosmic Eye Watcher Badge though to buy them with echoes in the normal shop. "It is also possible to unlock Twin Bloodstone Shards in the Shop by killing Rom, the Vacuous Spider, whether or not the player has obtained the Cosmic Eye Watcher Badge. "Last I checked, Rom has to be killed before getting the badge in the first place. Why is this here? Unless there&apos;s a way to get the badge earlier than Rom, this note seems to be obsolete. I never killed Darkbeast Paarl and it still appeared for me. Last boss I killed before hand was the amgdala. Sooo, maybe? Um... has anyone ever had the doll revert back to just sittting there on the ledge after obtaining the Cosmic Eye badge? Shes not asleep but just sitting there like before you could interact with her. HoweverI I can still approach her to level up. Reloading the Hunters Dream does nothing. Help? I cleared the orphanage and rechecked the hallway the wiki suggests checking, I can&apos;t seem to find this badge anywhere. Is there another event I need to complete before this badge shows up? The first time I cleared out the area it was NOT there. As someone mentioned below, it appears after you defeat Paarl. This could be true as Paarl was still alive when I first cleared the area. Now every boss is dead except MP and the badge was there. Needs confirmation, but I&apos;m sure it wasn&apos;t there the first time.